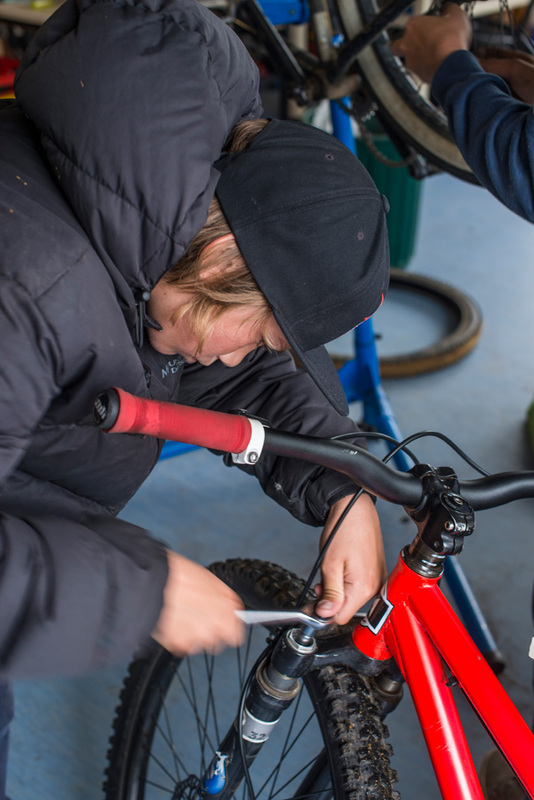 Risdon Vale Bike Collective and Shed partners with local schools and communities teaching 10- to 18-year-olds how to fix bikes while instilling in them a sense of worth, belonging and purpose – not to mention a real love of cycling. There’s something of an ordered chaos today at the Risdon Vale Bike Shed. In the crowded workshop headsets are pulled apart, broken spokes replaced, gears adjusted and many discussions are had about how to fix this or that. The atmosphere is loaded with enthusiasm. 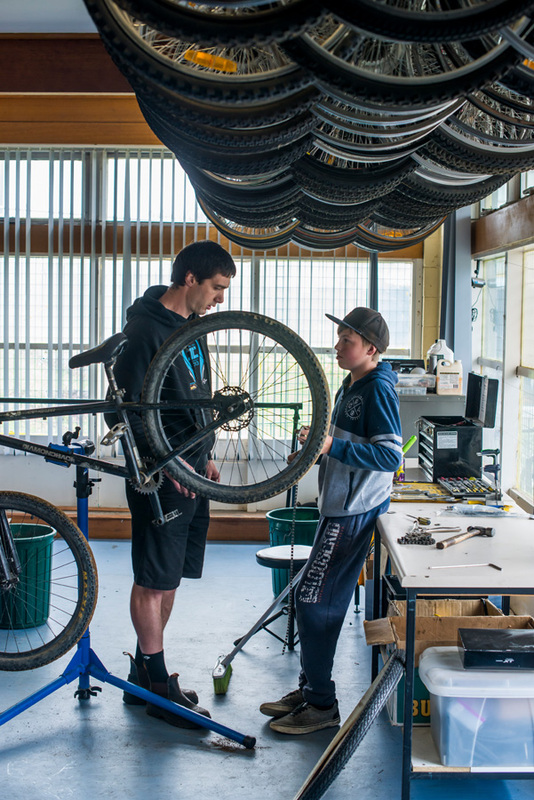 For the roughly 30 young locals who participate in the program, being involved in the collective not only teaches them how to fix bikes, but has given many a real focus, work skills, a sense of belonging and a true love of cycling. Cradled in a gully on Hobart’s north-eastern fringe and home to Tasmania’s main prison, Risdon Vale could be described as a hard luck suburb. It often makes the news for all the wrong reasons – crime, unemployment and lack of opportunity most frequently. 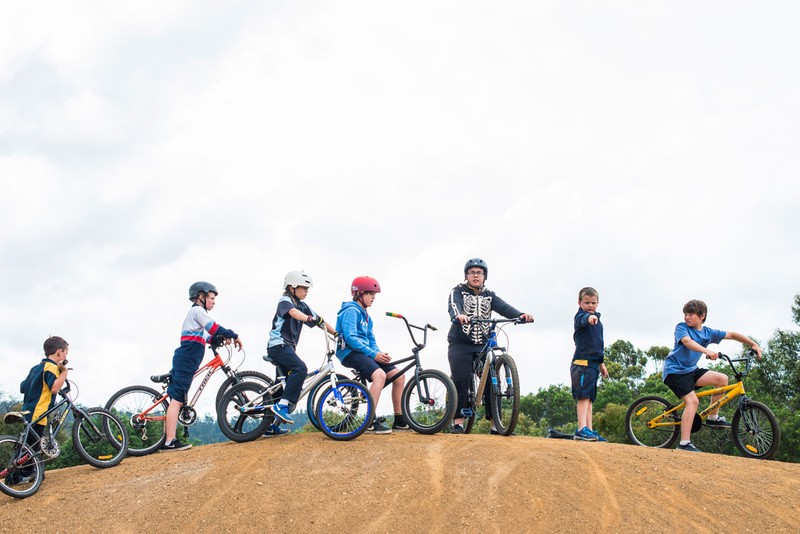 But over the 12 years since its establishment the Risdon Vale Bike Collective and Shed, which partners with locals schools and community groups, has become a wellspring of positive stories for the suburb. From giving away over 900 bikes to the local community, sending container loads of restored bikes to Namibia in Africa, bringing thousands of tired and broken donated bikes back to life and building a local BMX park, it has been a big effort. 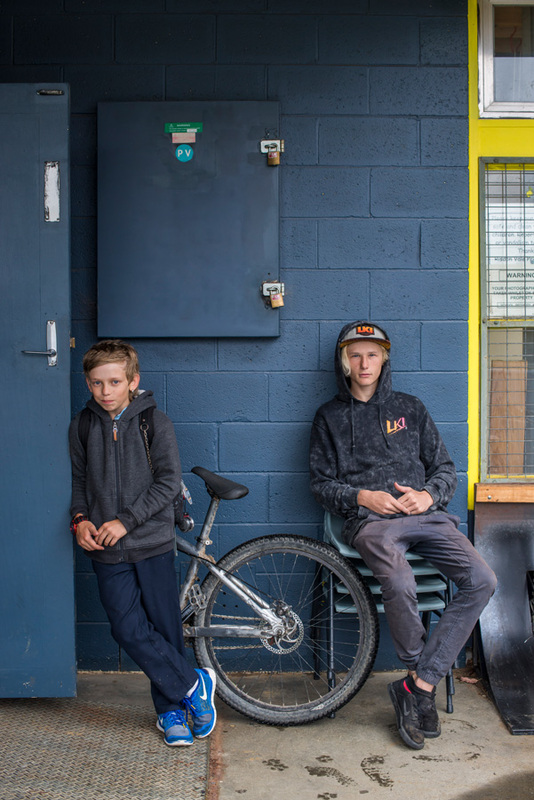 The collective has also helped build confidence and resilience in its participants and has generated a positive local bike culture, with the good news peaking in late 2016 when program coordinator, Anthony Elder, was awarded Tasmania’s Local Hero for 2017. Anthony is a tireless grassroots worker and a real stayer – he was one of the founding volunteers at the collective when it was established at the now closed Geilston Bay High School in 2004. After the school’s closure, the collective secured state government funding allowing the group to flourish from their own Risdon Vale premises and build an identity and following in the greater Hobart community. Despite a busy schedule coordinating all elements of the collective’s activities, Anthony is often found on the workshop floor giving hands-on advice and help on the tools. 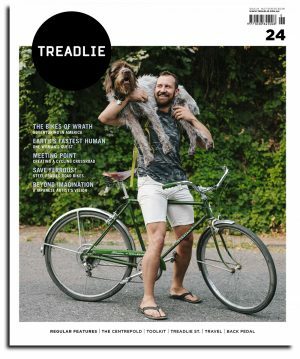 He’s become something of role model to the, mostly, boys who spend allocated school time and afternoons tinkering on their own bikes as well as those destined for resale in the collective’s store. Anthony is in the workshop today, with other volunteers, sharing his skills and advice among the dozen or so local boys working on bikes. He brings a patience and measured calm to his interactions with the kids. 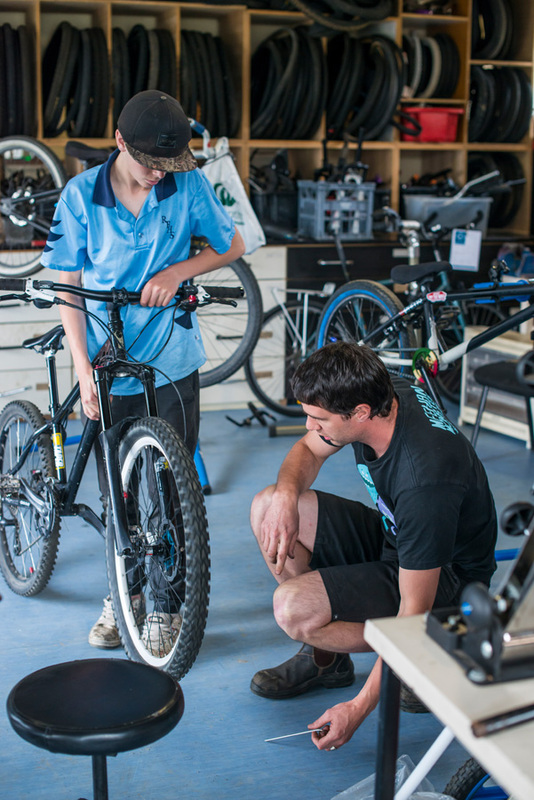 He says that many of the participants have built real work skills – through working with others to deadlines and gaining an understanding of working in a retail environment, with the collective having already sold over 250 bikes back to the Hobart community. 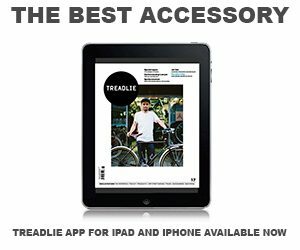 An added incentive for collective members is the “earn a bike program”, where points can be accumulated towards parts for “pimping out” their current rides or even a full bike. Time spent at the workshop or doing maintenance on the BMX track earns these points and helps build a work ethic for the participants. Importantly, the program has engendered a sense of purpose back into the lives of some participants that has seen them re-engage with school and gain an appreciation of the life opportunities education can bring. Anthony explains that although different projects were trialled in the early days of the collective, such as cooking and billycarts, it was the cycling related activities that really hooked the participants. 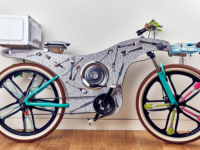 “Bikes work really well because you can achieve some really tangible outcomes. You’ve got this thing that’s run-down and not working, but within a few weeks you can see a real change in it. You can then take it out and test ride it, giving you a sense of achieving something having reached these tangible goals. 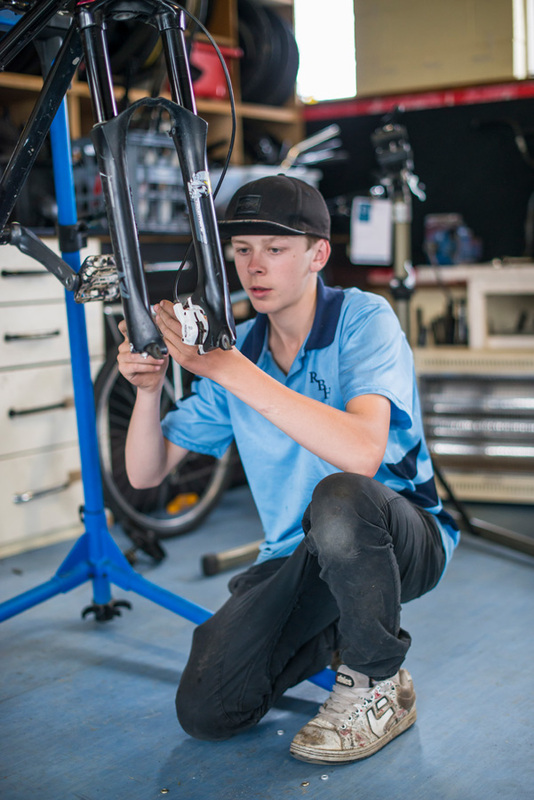 Working with bikes really builds confidence,” says Anthony. The collective’s “target group” are 10- to 18-year-olds, and while there has been a smattering of girls participating, it has been mostly boys over the past 12 years. Many of these boys have been struggling academically in school and Anthony believes that the positive team environment and community engagement of the collective has seen many participants develop the confidence and desire to reinvest with their formal schooling. 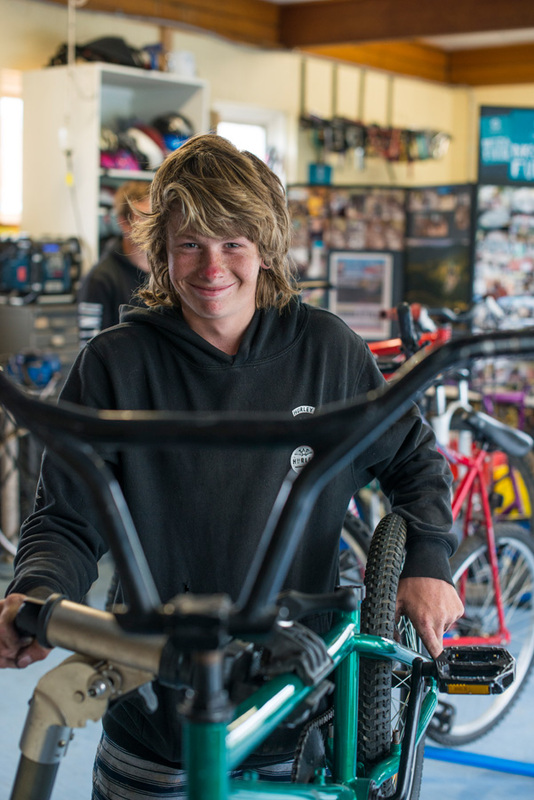 For 15-year-old Jake Williams, being an active participant in the collective has seen him develop a real focus in life. 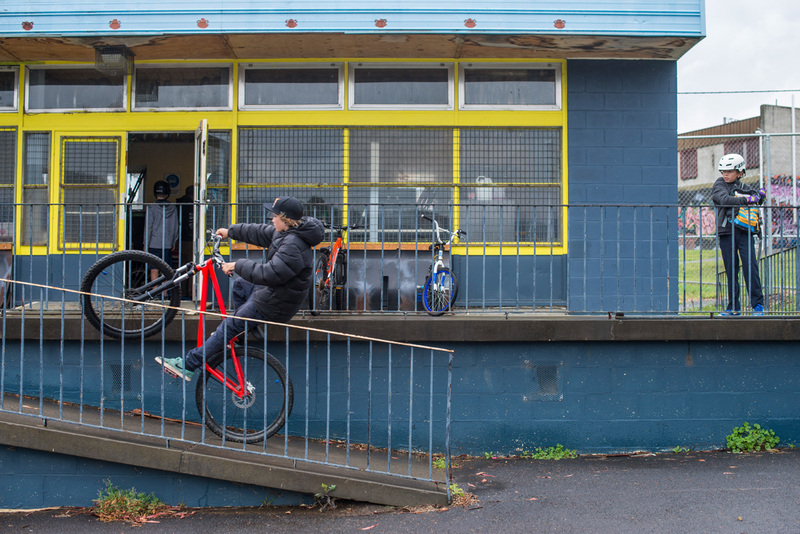 He’s completed 90 one-and-a-half hour sessions at the collective, earnt his own bike and got back into school. “I don’t have any more problems there,” Williams says. He’s fixing his mountain bike headset with Anthony today at the collective and hopes to study “something mechanical” at TAFE when he finishes high school. Jake loves cycling and downhill mountain biking especially. 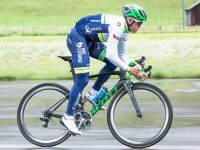 “It’s all about speed for me,” he laughs.